Cristobal Rawlins aka Raw-C is the first Chilean artist to release on No. Additionally, his "Ego Split EP" is the first release in the "Series 300", which indicates that new territories are being explored and that No. is expanding its musical horizon even further. 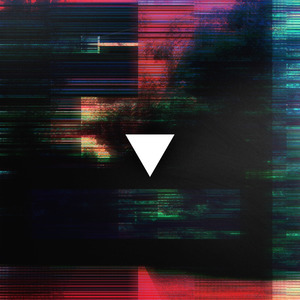 That said, the "Ego Split EP" ventures into slightly darker atmospheres than any of the previous releases on No., yet connects perfectly with the label's established code. Cristobal Rawlins has been releasing music under different names and in various collaborations since 2004 and can be considered a staple of Santiago de Chile's musical underground. His "Ego Split EP" consists of 4 tracks (the first 3 are Raw-C's compositions while the fourth is Atom™'s remix), each simply entitled "Ego Split" (I-III respectively). Musically, tracks I and III are slightly rhythmical, hypnotic pieces which cycle around repetitive tonal centers, embedded in deep spacial textures. Track II may be described as a slowly shifting, beatless tonal progression, which creates an equally relaxing as slightly unsettling mood. Atom™ then took Ego Split II and extended it into a full on ambient mix which tops off the EP as track 4. All Tracks Written by Cristobal Rawlins. Recorded August 2013, at DDR Records (Digital Death Records), Berlin. Executive Producer: Joaquin Luzoro DDR.